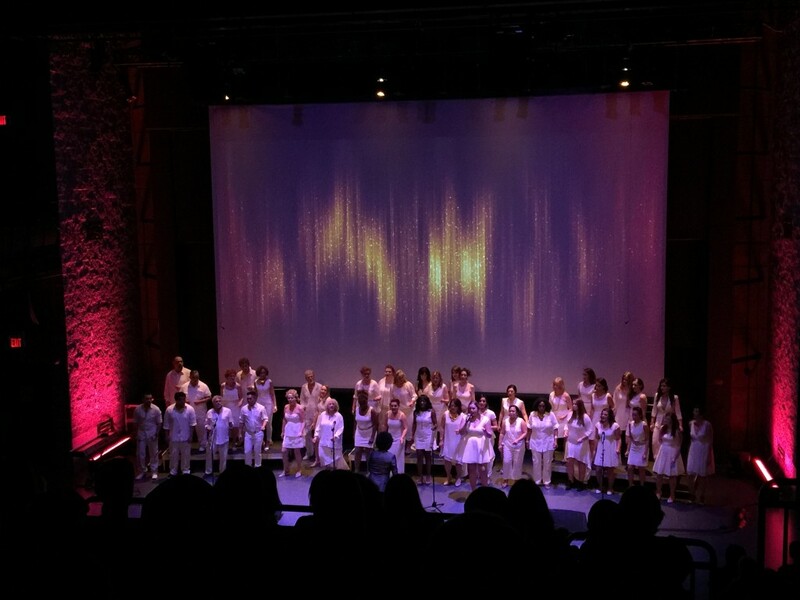 Before I set foot in SFU’s Goldcorp Centre for the Arts last Friday, I had never heard of Studio Cloud 30’s Top Line Vocal Collective choral group. I sure know now! The diverse 40-member ensemble blew me away at their second of two Voices in Colour concerts with a 90 minute set that included a wide range of contemporary pop, R&B, gospel and reggae songs. Sponsored by CIBC, Mini Yaletown and Cactus Club Cafe, the concerts raised funds in support of the Leukemia & Lymphoma Society of Canada and their work to combat life-threatening blood cancers. 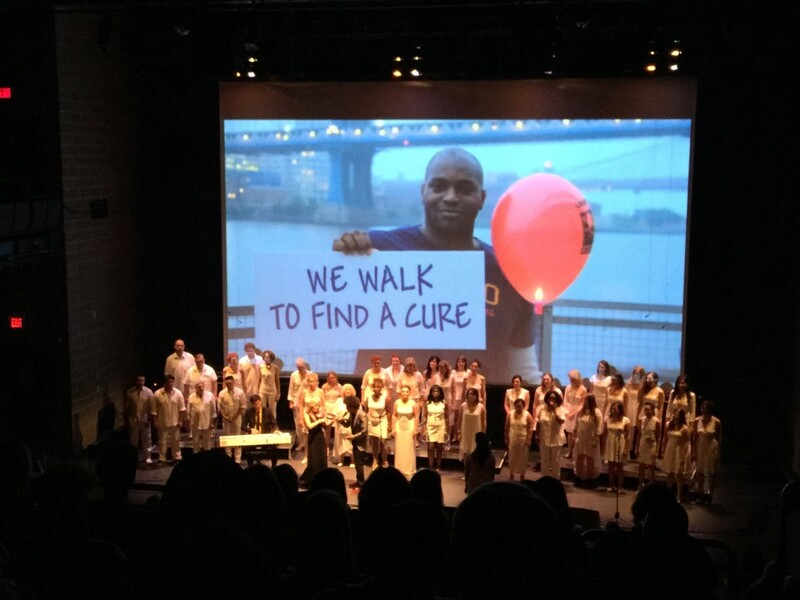 Throughout the concert, the large and very enthusiastic audience was treated to a visual multi-media experience including the debut music video screening of “Lifeboat” by R&B/Soul recording artist and Top Line Director Warren Dean Flandez. Special guest stars Roy and Rosemary and saxophonist Eli Bennett offered up some jazz-inspired Christmas tunes. While I loved the contemporary hits, especially an electrifying version of Mary J. Blige’s “No More Drama”, I was almost moved to tears by the Collective’s Gospel songs that raised the roof and had the entire audience on its feet, clapping and singing along. I’m not a church-goer, but Gospel always fills me with joy! Joy was the operative word on this night. Part of the multimedia backdrop included members of the Top Line ensemble talking with obvious emotion about their love of song – and each other. It triggered my own memories of being in the chorus of the Merry Widow in high school more than 40 years ago! All in all, a great way to start my weekend.